Humans Caused Climate Change. Humans Have to Fix It. Since the mid-1800s, rising levels of atmospheric carbon dioxide has increased. This phenomenon, along with other drastic environmental shifts, is referred to as climate change. Climate change, as defined by the United Nations Framework Convention on Climate Change (UNFCCC), is a change in Earth’s climate that is attributed directly or indirectly to human activity. An example of this is the incessant deforestation and burning of fossil fuels that humans have continued for decades. Trees absorb carbon dioxide, a gas that traps heat, and thus sends this gas into the atmosphere when they are destroyed. This is referred to as the greenhouse effect. Too much or too little of the greenhouse effect can make a planet uninhabitable. According to NASA, most scientists agree that it is the human expansion of the greenhouse effect that is causing climate change. For the past couple of centuries, climate scientists have researched and documented evidence proving that humans are the cause for this shift in climate that is threatening all forms of life. And while there are solutions, the inundating amount of damage done to the Earth that has led to this massive, catastrophic wave of climate change — damage fueled by imperialism and capitalism — must be explored first. The pursuit of oil is a leading cause of war. Western imperialist nations, such as the United States, have invaded entire countries and terrorized whole nations to possess what has proven to be one of the most powerful resources known to humankind. It is not oil, alone, that has caused war, but rather the need for the United States to maintain its position as the power machine that controls the rest of the world. As proven by former President George W. Bush through the invasion of Iraq, America retains its global hegemonic power by ‘convincing’ — whereby I mean demanding through impeding on countries’ social and political freedoms — other states to support its foreign and economic policies influenced by geographical components. As I once wrote, imperialism — though not inextricably so — is directly tied to capitalism. The United States will do what it must to preserve the power it wields through control of capital, even if that means the empire is sustained through military force. A complete overthrow of America’s socio-economic system is the only way we can stop the extinction of humankind. Preserving power, however, does not look like imperialism alone. The facts are as transparent as they can be. 97% of climate scientists affirm that climate change is real, yet denying that climate change exists is still a top priority for politicians and corporations with a vested interest in controlling capital. This has also been a leading cause for the obliteration of entire cities following prodigious, apocalyptic storms like Hurricane Katrina in New Orleans back in August 2005. 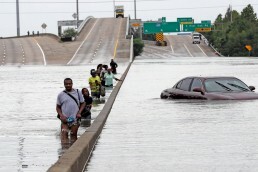 Though capitalism and environmental racism are to blame for the devastating aftermath of Katrina, the storm was caused by climate change. 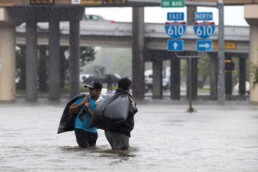 Had politicians listened to the overwhelming evidence provided by climate and atmospheric scientists that climate change is real, Katrina could have possibly been avoided. Instead, they ignored the fact that sea levels and global temperatures are rising, that glaciers and ice sheets are continuing to melt, and that CO2 levels have skyrocketed, thus causing Katrina to destroy an entire city and thousands of families, and committing what I refer to as ecological genocide. …imperialism — though not inextricably so — is directly tied to capitalism. Fast forwarding, the world has been experiencing some of our worst ‘natural’ disasters to date: from Hurricane Harvey, which led to the destruction of several cities in Texas, to Hurricane Irma, which has been and is currently terrorizing countless islands in the Caribbean and many states in the US; from the earthquake that has left dozens dead in Mexico and the innumerable floods and mudslides that have killed thousands in West African countries like Sierra Leone, to the life threatening wildfires burning rampantly around the world. The Earth seems to be swallowing us whole and climate change has acted as one of the biggest threats to humanity. Yet, there are politicians, and other people who hold systemic power to implement change, committed to denying the truth that life on Earth will cease to exist if we do not act quickly. The United States and businesses fueled by the production of oil and gas as commodities are committed to making a profit, even and especially at the expense of the lives of society’s most marginalized. As pointed out by TayGo, a mutual and comrade on Twitter, it will be people in the Global South, the ’hoods’ and the ‘ghettos’ that will be affected first. We continue to witness this as capitalists avoid the terror of natural disasters that the poor and working class, folks deprived of power, are forced to endure. Nevertheless, it is not too late to make a difference. As detailed in this report by Yale Environment 360, one solution being proposed is an energy/technology revolution. This suggested revolution would look like a geoengineering project to ‘cool off’ the planet by building artificial trees that would withdraw carbon dioxide from the atmosphere. However, though the idea is an auspicious one, it is noted that scientists would still wrestle with what to do with the carbon dioxide once it is extracted. The biggest issue, though, is how much money it would cost to execute such a monstrous concept. And since much of the rationale to finance anything of this magnitude is rooted in private profits, the only solution is the abolishment of capitalism and imperialism and the implementation of ecosocialism. A complete overthrow of America’s socio-economic system is the only way we can stop the extinction of humankind. This is not mere theory; it is not a conspiracy. If we are to survive, and if generations to come are to inherit a planet that is habitable, we have no choice but to fight for power to be placed in the hands of the People and out of the hands of privatized businesses, political figureheads, and capitalist nations. If we are to survive, and if generations to come are to inherit a planet that is habitable, we have no choice but to fight for power to be placed in the hands of the People and out of the hands of privatized businesses, political figureheads, and capitalist nations. In the meantime, as instructed by former member of the Black Liberation Army and the Black Panther Party (BPP), Assata Olugbala Shakur, we must love and support each other. Rectifying our current circumstances looks just as much like emotional, physical, mental, and spiritual support for marginalized people as it does the obstruction of the United States’ socio-economic system. We cannot achieve the latter without the former. 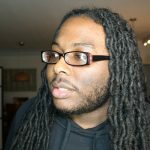 So, whether it is organizing in our various communities, writing about our present and historical struggles (and our hopes for a successful future), investing monetarily in Black and brown communities, or educating the masses, we must all play our part in this collective struggle to freedom. With this, linked below are a few relief funds and other articles written to help victims of recent tragedies that have plagued the earth. Person Tracker — you can find loved ones through this site by clicking their specific island/city and searching through the list of people that have been reported missing or unreachable. Or, if necessary, click ‘add missing person’ to submit the name of the folk(s) you’re searching for. For more information, read this informative piece written by Anthony J. Williams.